1813 TheHenselt family, together with 4 children, moves from Rothenthal near Greitz/Thuringia to Schwabach. Here Philipp Eduard Henselt becomes partner of the cotton manufacturer Johann Martin Stirner (1776 – 1851). 09/05/1814 Georg Martin Adolph Henselt is born in Schwabach, in the dwellinghouse of the former Cotton manufactory, today 13 Penzendorfer Straße. Father: Philipp Eduard Henselt (1777 – 1830), cottonmanufacturer in Rothenthal nearGreiz. 23/01/1817 The Henseltfamily, now with 6 children, moves from Schwabach to Munich. There the father leases the cottonmanufactury of the Count of Arco on Oberköllnbach. In Munich, three more children are born who, however, already die as babies. 1820 Henselt attends the St.Anna-Suburb elementary school and then, probably from 1824 on, the Latin school. 1822 Henselt´s older sister is given pianolessons, Adolph himself, for the timebeing, is given violin lessons. 06/03/1822 When Henselt is 8, his mother dies at the age of 36. 1823 Henselt is given pianolessons by Emanuel Lasser (1784 – 1825). 12/03/1829 At the age of 14, Henselt gives his first public concert at the Munich Odeon. 27/06/1830 Henselt is 16 when his father dies at the age of 53. 1831/1832 King Ludwig I. of Bavaria (1776 – 1868) grants a scholarship for piano studies with J.N. Hummel (1778 – 1837) in Weimar from October 1831 toMarch 1832. 28/11/1832 Henselt gives his second public concert at the Munich Odeon. 1833 He studies in Vienna, e.g. a two-year study of composition with Simon Sechter (1788 – 1867). 1833 First own compositions, which are published much later. 10/03/1836 Henselt plays Beethoven’s c-minor pianoconcerto with his own cadence. 25/06/1836 In Berlin, Henselt plays in a private circle at the house of the instrument-maker to the Royal Prussian Court Heinrich Kisting (1780 – 1856). It is probably in Berlin where he gets to know Carl Banck, which is the beginning of a close, lifelong friendship. Mid-1836 Because of his poor health, due to exertions and stress, Henselt takes a cure in Karlsbad. Autumn 1836 During alonger stay with Hummelin Weimar he meets RosalieVogel. 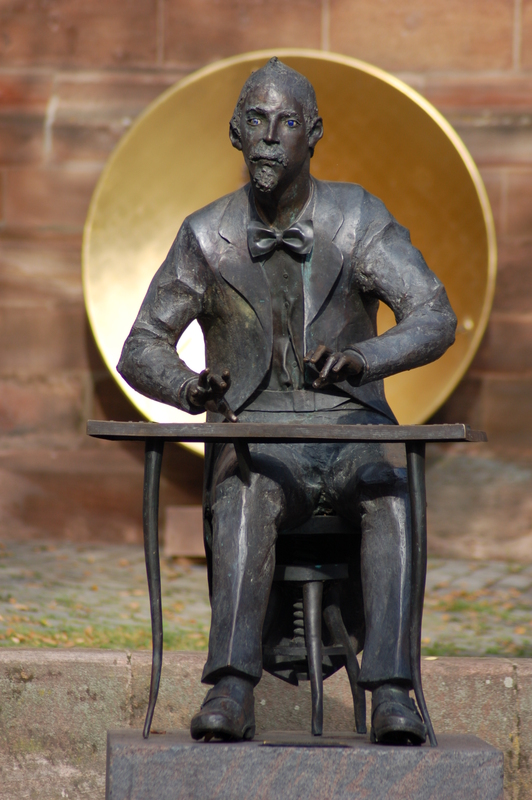 11/01/1837 Henselt gives his first public concert in Jena. 28/01/1837 Henselt gives aconcert in Dresden. 08/05/1837 Henselt gives his first public concert in Berlin. Mid-1837 In Breslau Henselt composes his famous Études op. 2 and op. 5. 24/10/1837 Henselt marries Rosalie, née Manger(1807 – 1893), in Bad Salzbrunn/Silesia. 29/12/1837 Henselt’s public concert at the Leipzig “Gewandhaus” concert hall. 11/01/1838 Henselt gives a public concert in Dresden. This is his last public performance in Germany. 24/01/1838 On a trip to St. Petersburg Henselt performs in a concert in Warsaw. There he gets to know the violinist Henri Vieuxtemps (1820 – 1881). 21/03/1838 First public concert in Russia in the Great Theatre of St.Petersburg. After the overwhelming success he follows the wishes of the czar and stays in St.Petersburg. 19/04/1839 Birth of his son Alexander Adolphowitsch Henselt (* 19/04, 01/05/1839 in St. Petersburg,+ 29/01, 10/02/1878 in Samaraon Wolga). 30/04/1839 Henselt is appointed royal pianist by the czar Alexandra Fjodorowna (1798 – 1860). 1839 Henselt (25 years old) teaches 21-year old Alexander, later czar Alexander II (1818 – 1881) and six other children of the czar. 18/09/1852 Purchase of the man or and castle in Gersdorfon Queis, districtof Bunzlau. May 1857 Visit of his son in Breslau on the trip from St. Petersburg to Gersdorf. 14/03/1861 On command of his majesty czar Alexander II. Adolph Lwowitsch Henselt is appointed hereditary peer. 04/01/1866 Selling the manorin Gersdorf for 67,000 thalers to the Dutchman Dr. jur. Reinhardus de Graaf after a little more than 13 years (Gregorian calendar). 1868 Henselt writes the text book “Some remarks and long-term experiences about teaching the piano. As a guide for teachers and students in the imperial institute and for teaching of all concerned” . It is published at Th. Stellowsky in St. Petersburg. 1871 Purchase of a large villa in Bad Warmbrunn (Polish: Cieplice Slaskie Zdroj). 1873 Henselt publishes his book “ On elementary musicaltheory” . Nov. 1874 Henselt breaks his leftarm at thewrist. middleof 1875 Marie Lipsius (as a writer she called herself La Mara) publishes the third volume of the “Musical studyheads”, containing a chapter on Henselt. 29/01/1878 His sonAlexander dies in Samara/Russia from pneumonia(29/01, 10/02/1878). 31/03/1879 Henselt is appointed Royal Russian Privy Council. 19/07/1879 Henselt visits Lisztin Weimar on 19/20 July. Dec. 1880 Henselt composes a cantata for the 50-year anniversary of the cultural and social work of Prince Peter of Oldenbourg. 12/05/1883 Honours for the 25-year anniversary as ageneral musicalinspector in St. Petersburg. 1887/1888 Henselt is a professor for piano at the conservatory in St. Petersburg. 10/10/1889 Henselt spends his annual summerholiday in Warmbrunn. There he dies in presence of his wife and good friends.